Financial planning at its core is about helping individuals and families be better than they were before. At Eder and Associates we take our role in the community seriously and feel a responsibility to support and help those in need. 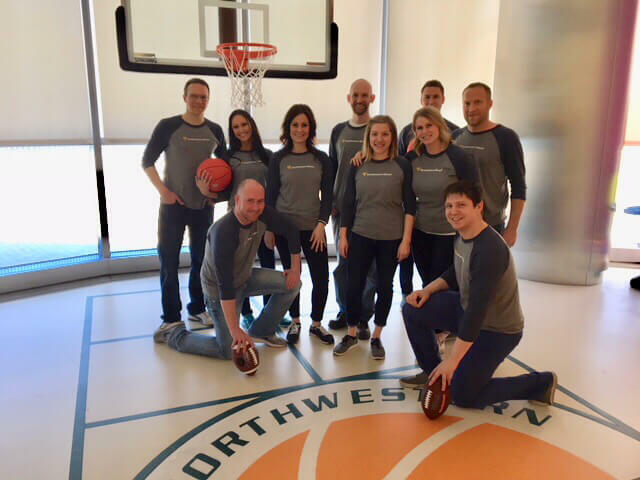 Our team commits time, treasure, and talent in a variety of ways to help make our community stronger and more secure. Here are a few of the causes we’re blessed to support. If you have a cause worth discussing, please email Kelly Larson, kelly.larson@nm.com. 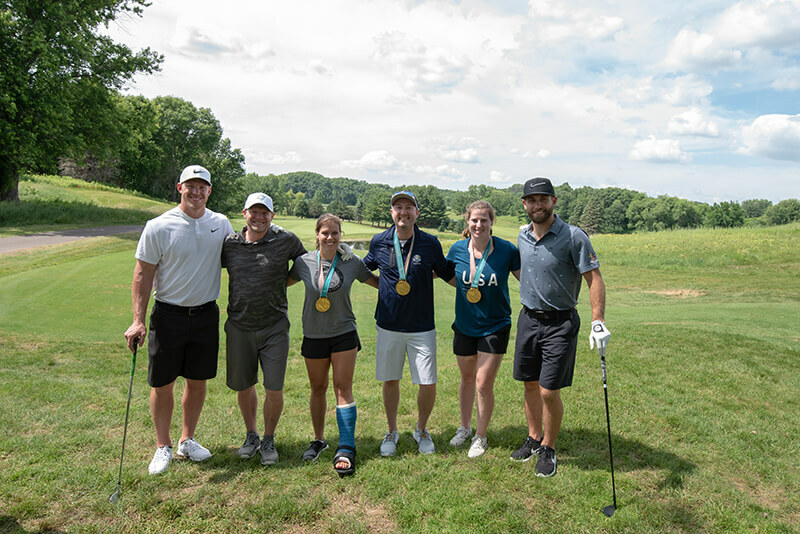 Founded by Brian and his wife Gretta in 2011, Birdies4Brains' primary mission is to help people who are recovering from traumatic brain injuries. Birdies4Brains is a golf charity event held every year on the summer solstice. 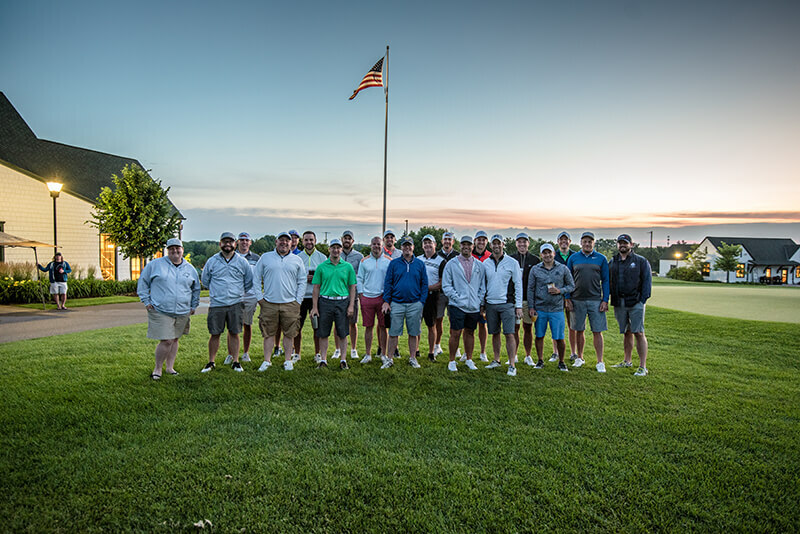 Unlike any other typical golf charity event, a group of golfers sign up to take on 100 holes of golf in 1 day. Between participants who raise funds and donors, B4B has raised just under $500,000 for those impacted by a brain injury and their family. Often times these donations go to help cover medical and travel costs that families often incur when an injury occurs. The impacts of a brain injury hits all too close to home for Brian Eder. In 2009 he nearly lost his sister, Christine, who suffered from a brain aneurism her senior year at St. Ben's. Ever since, Brian has made it a mission to work alongside a few buddies and his team here at Eder & Associates to continue to impact this specific group of individuals in a big way. To learn more or get involved please visit www.b4bmn.org or email Brian at brian.eder@nm.com. University of Minnesota Masonic Children's Hospital mission is to bring hope and healing to the children and families they serve by caring for one child a time, while advancing education, research and care on behalf of all children. 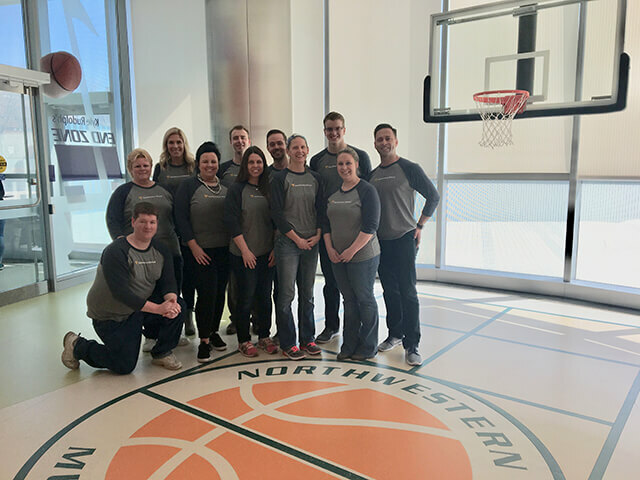 Every year during NCAA March Madness, team members volunteer at the hospital by throwing a huge viewing party for all patients, families and staff to attend and watch the games. Pictured below are Kelly, Tyler and Anne in the Kyle Rudolph End Zone. 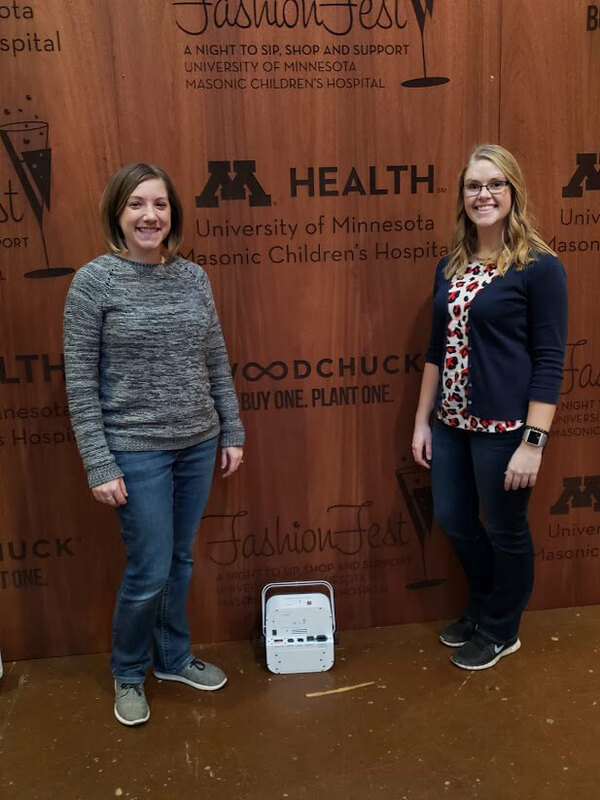 FashionFest began six years ago as a Wine, Women and Shoes boutique event where proceeds go to bettering the patient-family experience at University of Minnesota Masonic Children’s Hospital. Below is a photo of Anne and Chantelle volunteering at 2018’s event.